Meat Shredding Claws - What's Goin' On In The Kitchen? 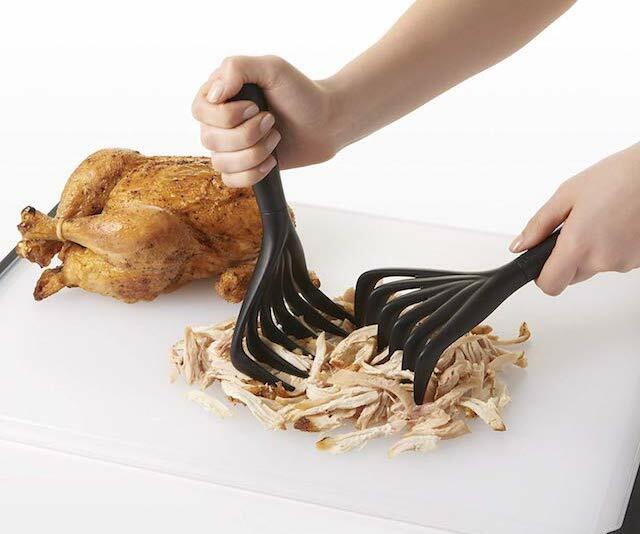 These Meat Shredding Claws are the business for easily ripping apart any kind of meat. The long handles allow you to keep your hands away from the meat, whilst the teeth interlock in two different position to ensure maximum shredding. The claws are shaped to both shred and lift meat, meaning that you can tear apart your favorite meat without getting your hands dirty!